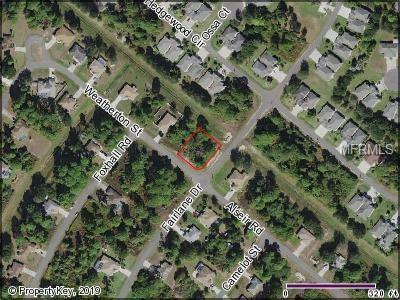 Phenomenal corner lot, over 1/4 an acre, on a drainage easement providing 65' of privacy! Perfect for building your dream home in the thriving city of North Port, home of the of the Atlanta Braves Spring Training in 2020. This property is centrally located to EVERYTHING...US-41, I-75, Suncoast Technical College, Shannon Staub Library and plenty of grocery & retail shopping, and dining. Minutes away from beautiful Port Charlotte, home for the Tampa Bay Rays Spring Training. Convenient access to a multitude of golf courses, fishing, boating and stunning gulf beaches!